A mountain guide friend of mine (http://ukmountainleader.co.uk) popped by for a chat the other day and as he was leaving he asked if I could make a case,for his Silva Expedition 4 compass. 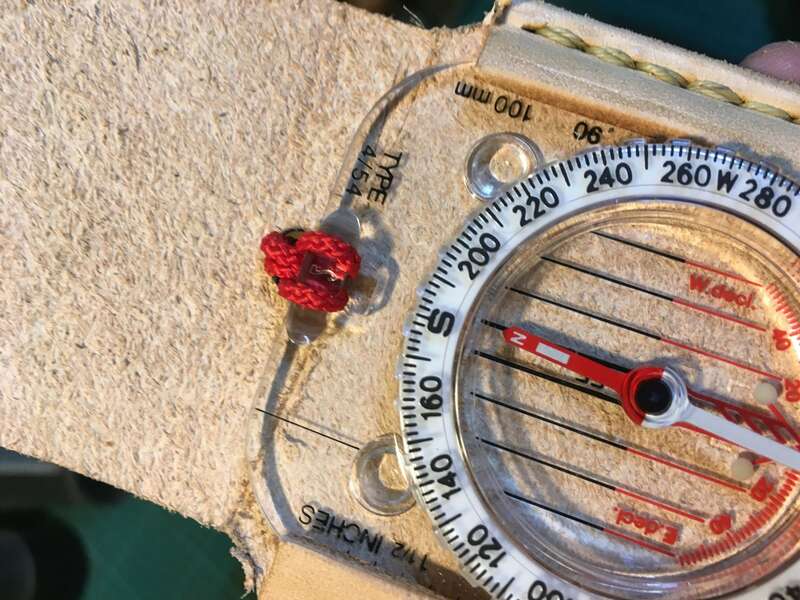 Any climber or hill walker will know all about the compass. They will also know that they are easily damaged and easy to drop when wet and slippery. 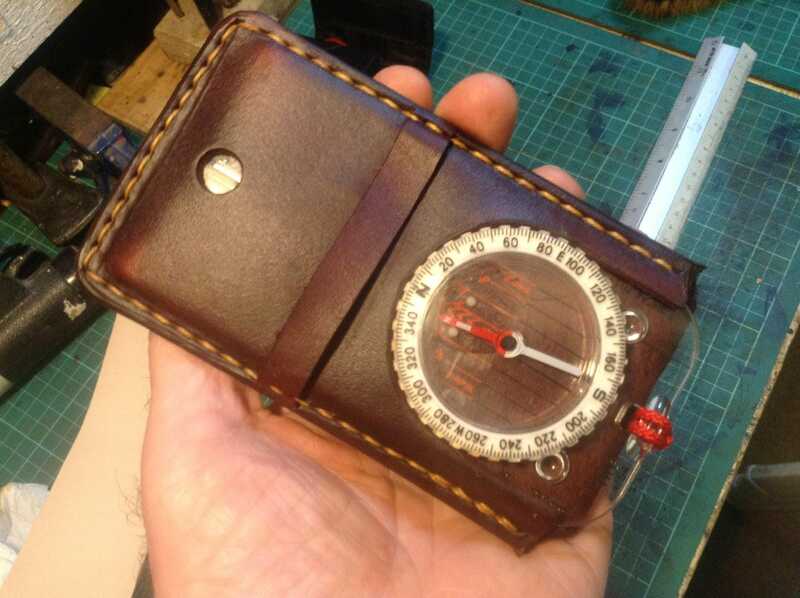 This case serves two main functions, it protects the compass when not in use and, crucially, allows one,to use it without removing it from the case. The compass remains fully functional in the case and one only needs to open the cover! There is a hole that allows use of the lubber line for navigation. 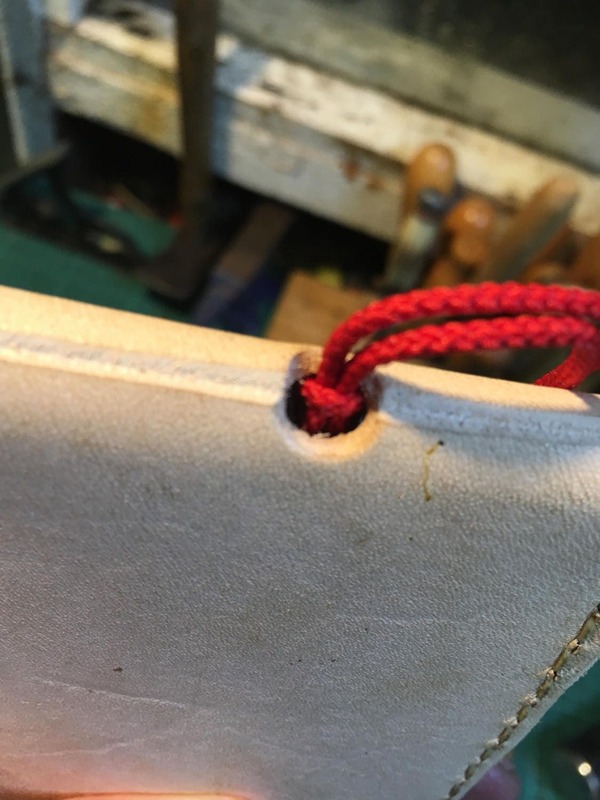 The lanyard passes through another hole and the cover is closed by passing it under the sewn leather strap. No metallic parts are used as they would interfere with the compass. 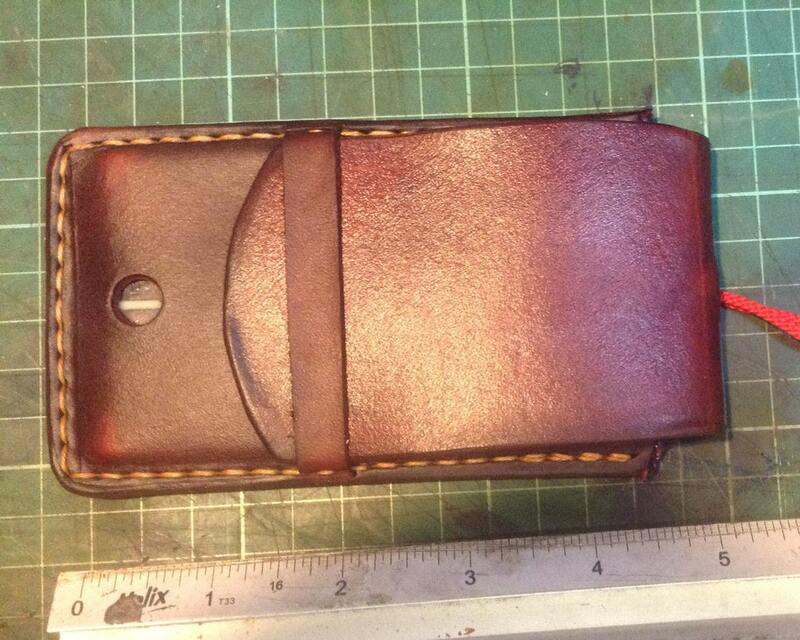 These cases take a while to make to order and can be supplied in tan, brown or black stain, please specify on ordering. Like all my items they are made,from top quality veg tanned shoulder and are hand sewn with waxed linen thread, with care they should last a lifetime.